Below you will find descriptions for some of these workshops as well as sample handouts. Personality Dimensions is a Canadian tool to determine an individual's dominant personality traits represented by four colours. It is an excellent resource to gain a better understanding of yourself and others. I have utilized Personality Dimensions since my certification in 2003 to effectively facilitate workshops that enhance team building, understanding of diverse learning styles, career decision making and retirement planning. Myers Briggs Type Indicator (MBTI) is psychometric assessment tool assisting people to understand their personal preferences - where they gain their energy, how they process information, how they make decisions and their personal style in going about their life. 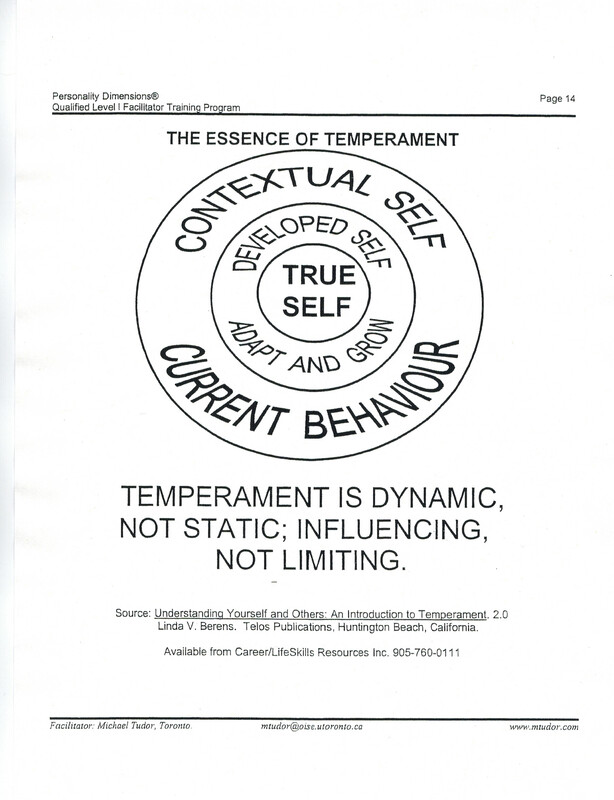 I have facilitated workshops using MBTI since my certification in 2004. It has been a great tool for career exploration and relationship building. It has been my pleasure to empower hundreds and individuals to Ace the Interview through hands on Interview Skills Workshops and One to One coaching. I assist learners in preparing for interviews by preparing their mindset, knowledge and preparation for behavioural based interviews, practice through role play and feedback, body language and confidence building. I have included an Interview Rubric that I have developed and found to be very helpful in providing guidance and feedback.